Material is very important when ordering a pair of custom jeans. 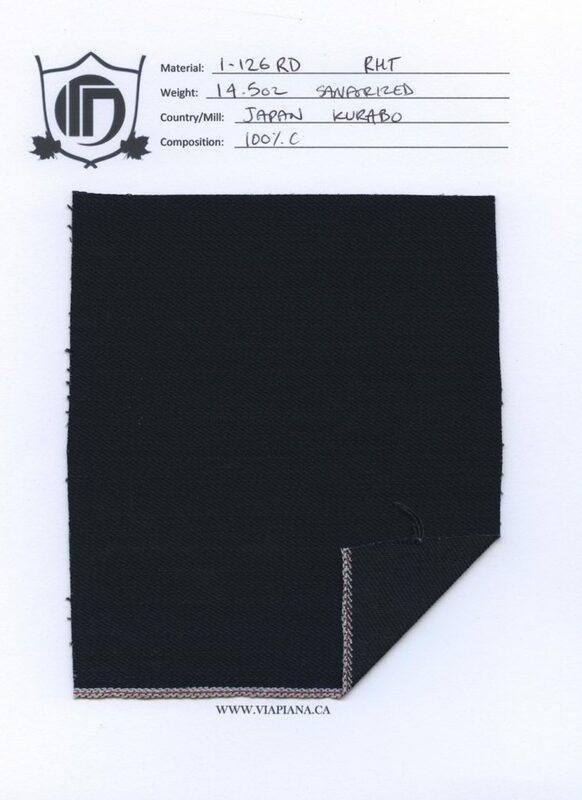 Please read the details that pertain to each fabric and make sure you know what you are ordering. 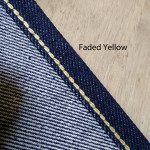 **Any material that says “unsanforized” means that it is loom-state and will shrink (5-10%). However, you can choose upon checkout if you would like the material to be preshrunk. The rest of the materials are sanforized and should not have any problems with shrinkage (1-3%). I also offer a more premium product made with branded material by Holland & Sherry. Please feel free to contact me for pricing and info. 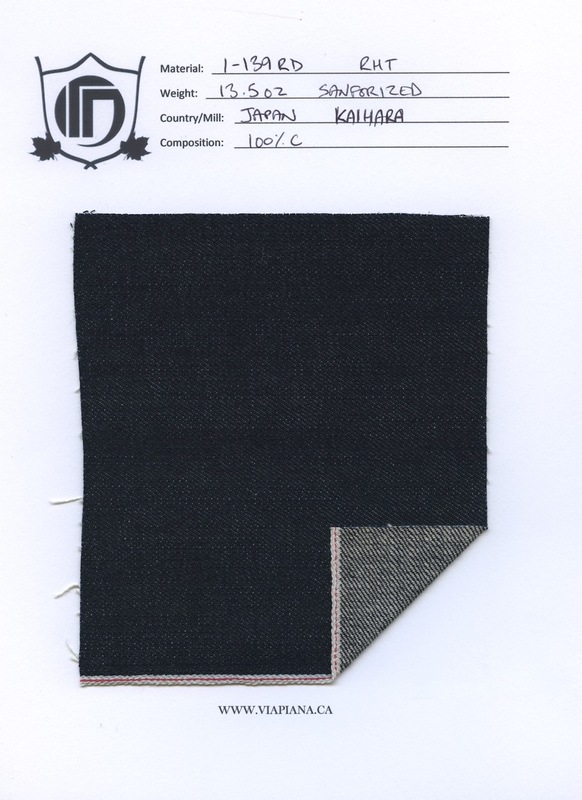 K-508N 13oz Sanforized right hand twill. 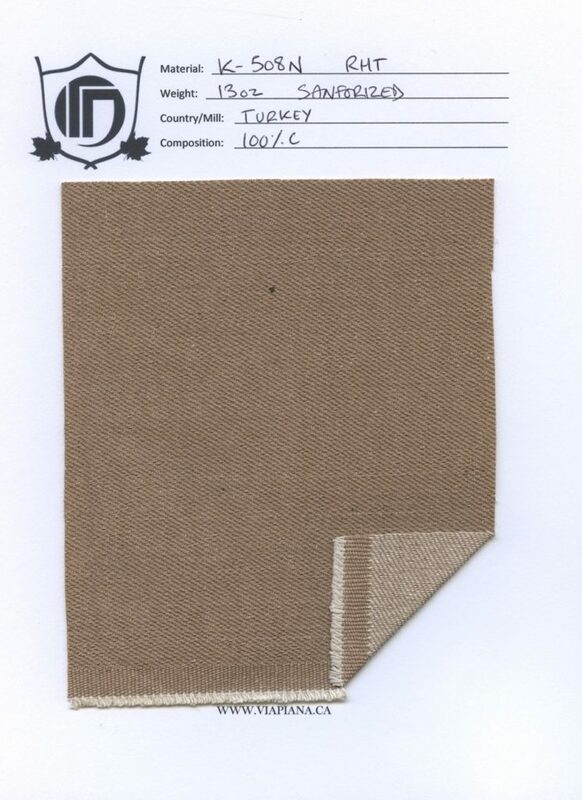 This material is woven in turkey for the European market. It is guaranteed to beautifully soften up and be a great pair. 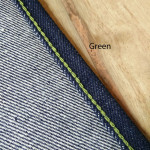 K-505R 12 oz right hand twill. 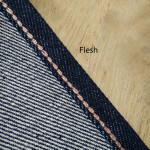 Soft and a little slubby makes for a nice denim. This one is from Kurabo. 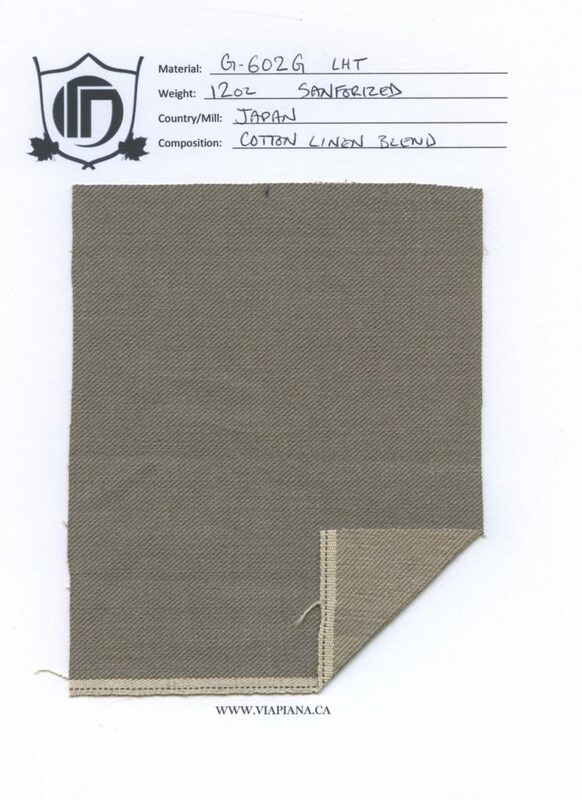 K-504RD 13 oz right hand twill. 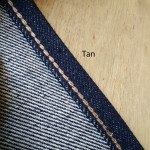 Brown denim that fades is hard to come by, and this one fades nice. 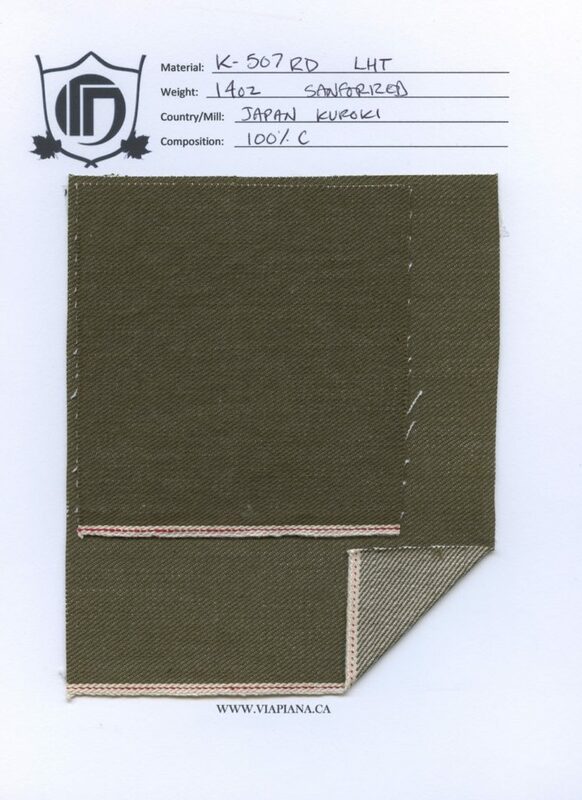 K-507RD 14oz sanforized left hand twill. 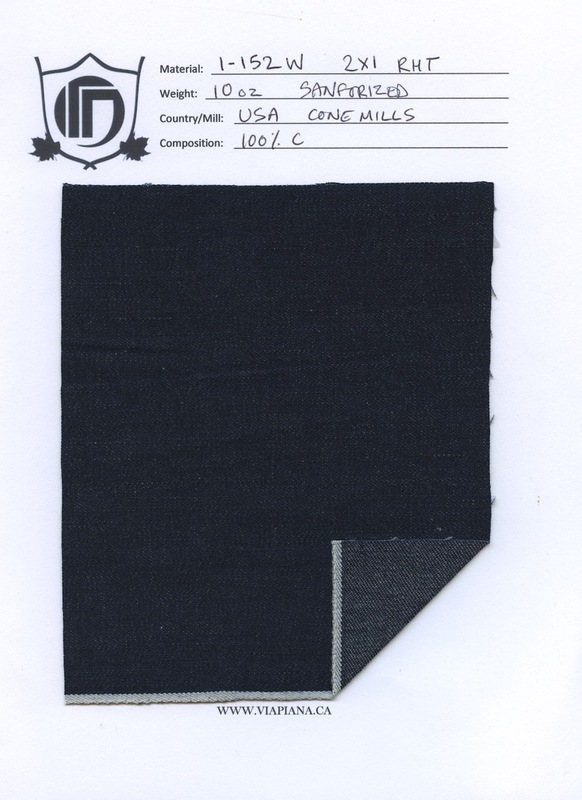 This is the material is a sturdy denim that will soften up well due to the fact that its a left hand twill. It was woven in Japan by Kuroki. 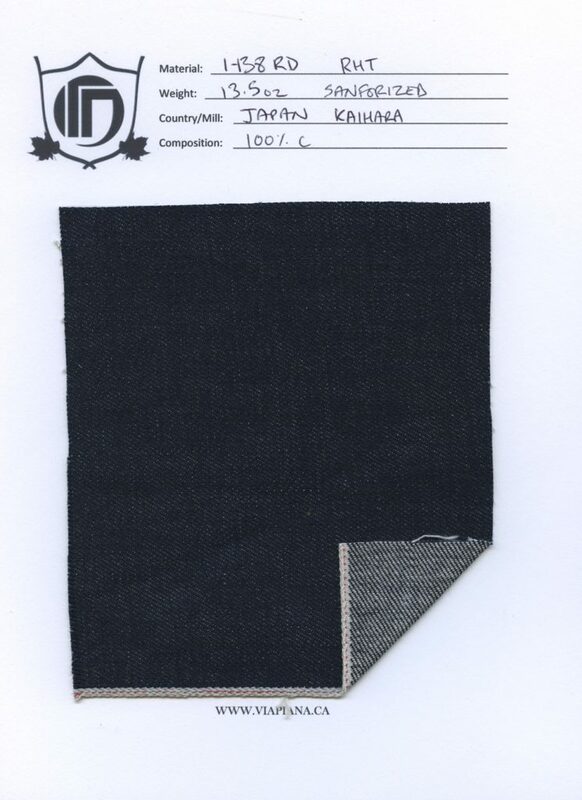 K-506R 12.75oz sanforized right hand twill. 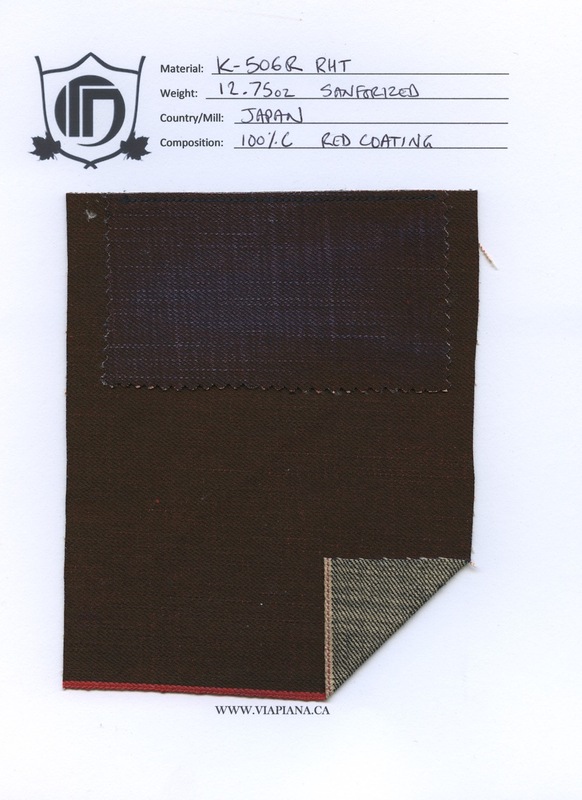 This is a funky BLUE denim that has a reddish brown coating which gives it the appearance of being brown. 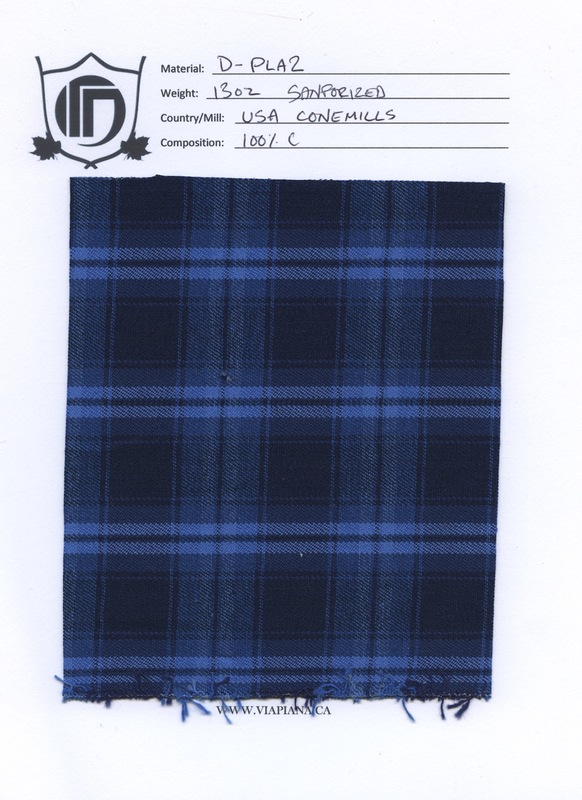 It will fade into blue then into white as seen in the top portion of the sample. 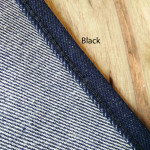 i-YD01 11oz Unsanforized right hand twill. 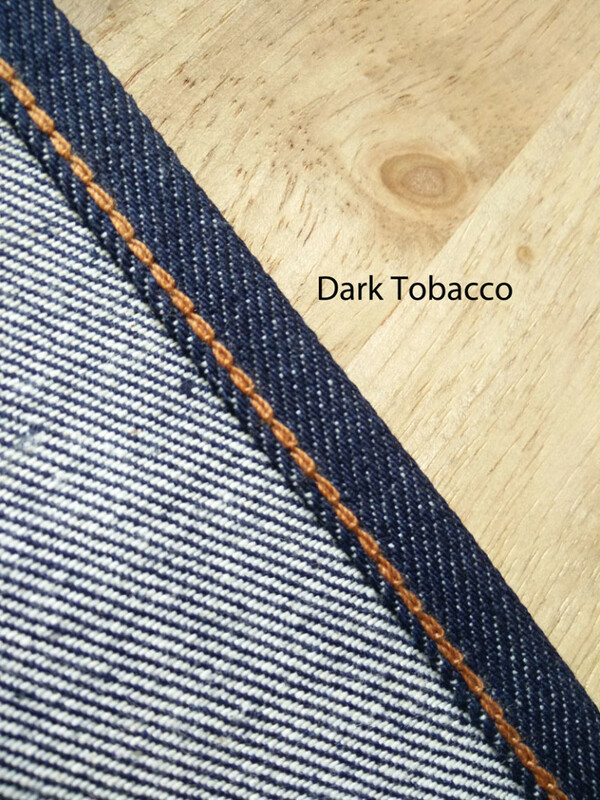 This denim will become quite dark after its first soak, or wash. (Please specify if you want me to do this before i make it as it’s unsanforized). It has a very loosely woven feeling to it. A very good lightweight alternative. 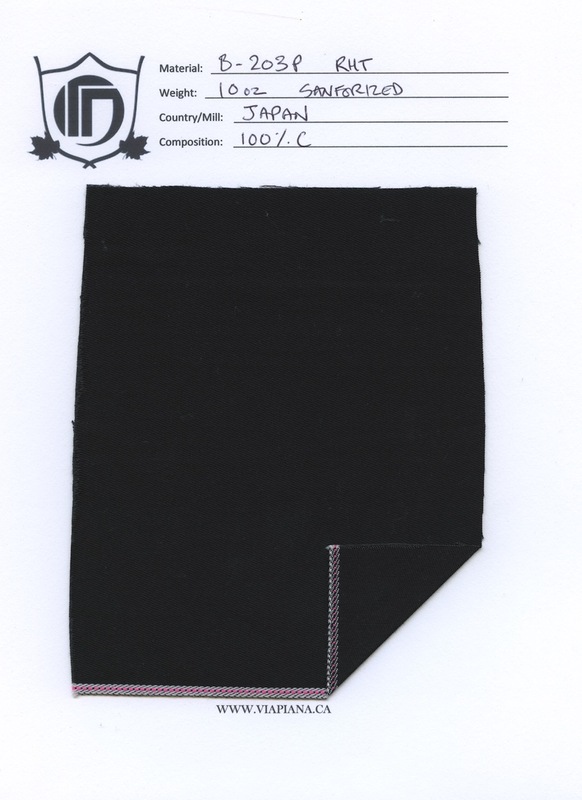 i-156N 13oz Sanforized right hand twill. 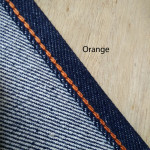 This material is not selvage. 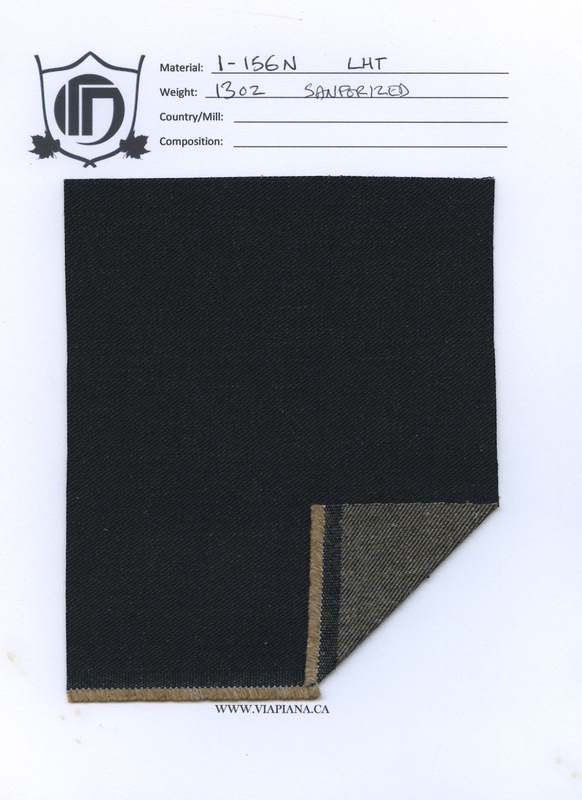 It has a weft that is a mixture of different types of fibers to mimic wool. 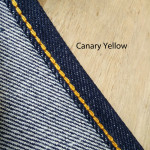 This denim will produce a “dirty” fade that would look great in a workwear style or painter pant. i-154RD 13oz sanforized right hand twill. 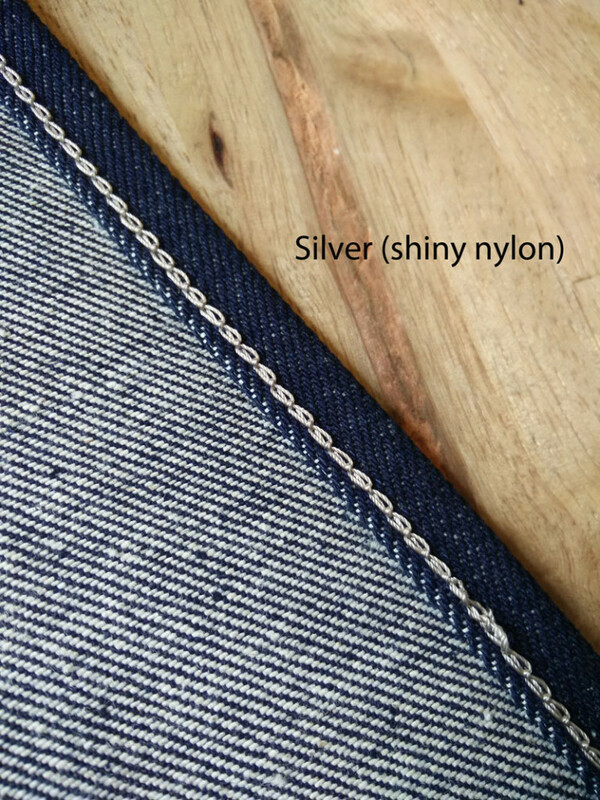 This denim has a lot of nep in a few colours, though the white fibers are easiest to see. 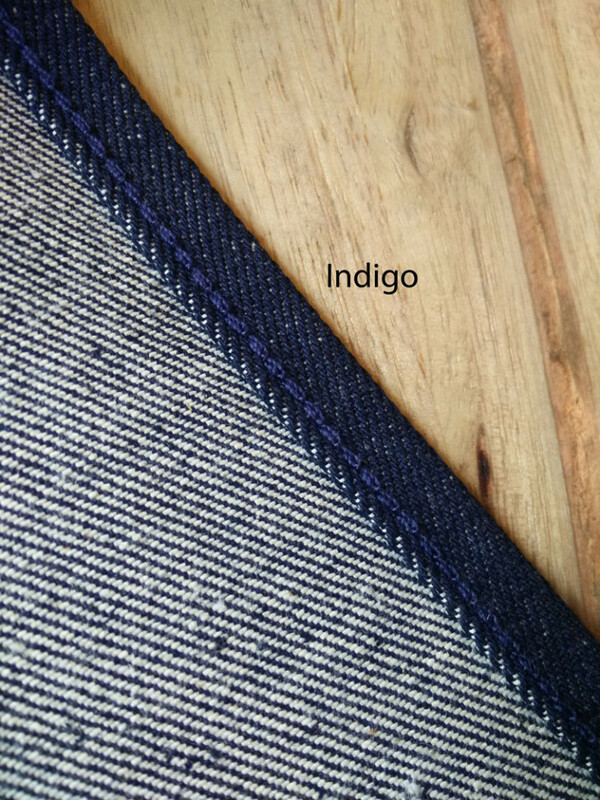 The warp is made from your standard indigo rope dyed 100% cotton fibers, but the weft is made from cotton, acrylic, and polyester. 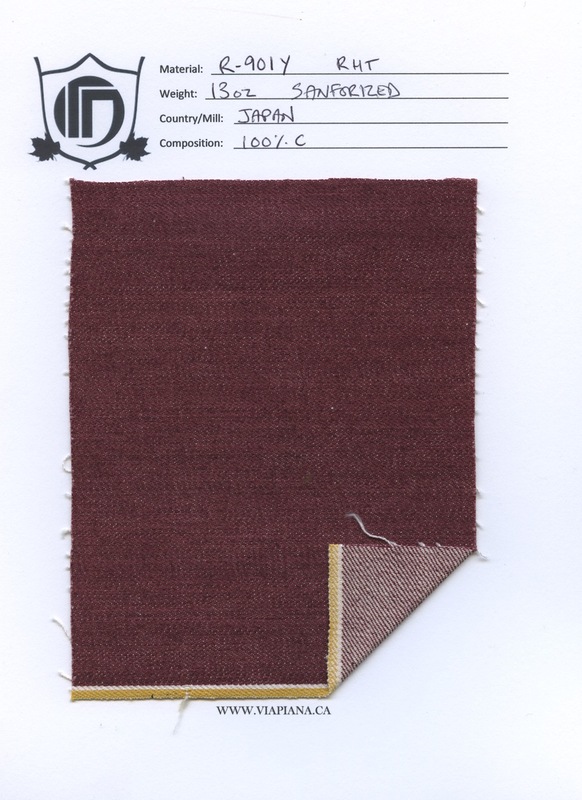 This blend will make the weft look as if its woven with wool. 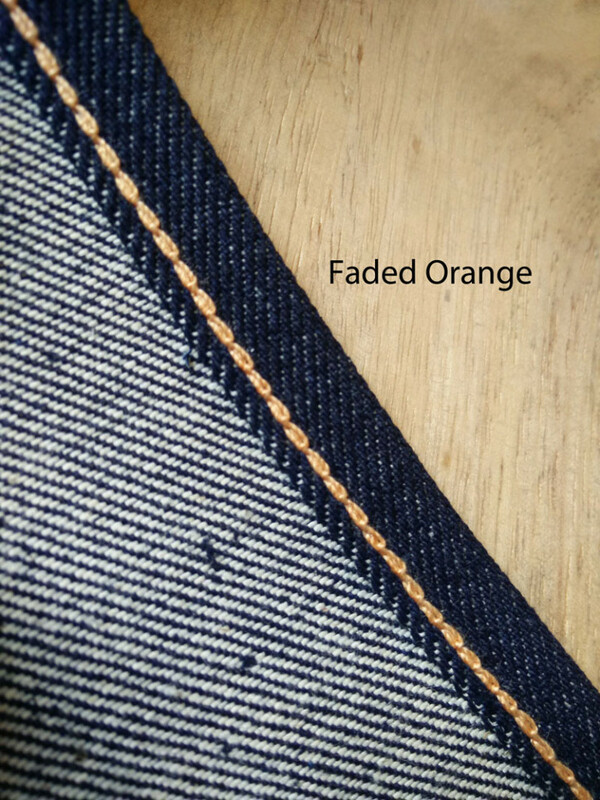 The denim will fade just as any other denim will! i-153RD 110z 2X1 sanforized right hand twill. 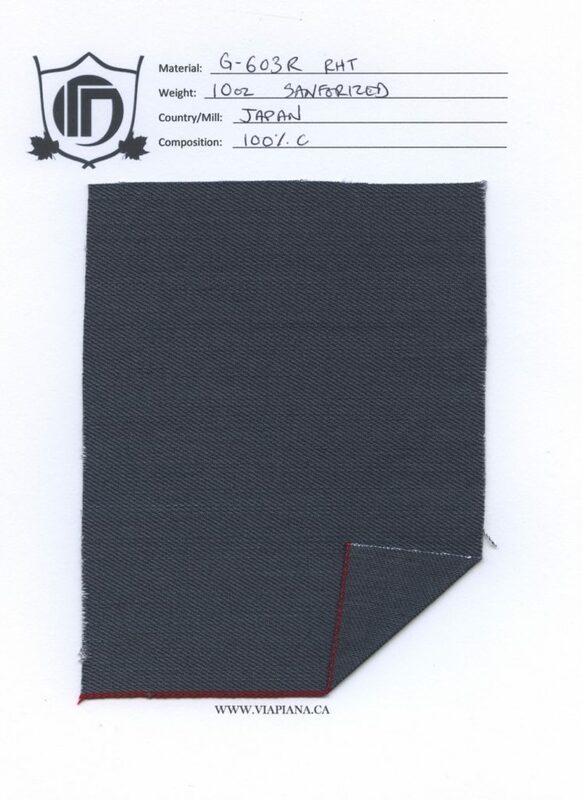 This lightweight material will be perfect for any sort of uniform style garment you have in mind. 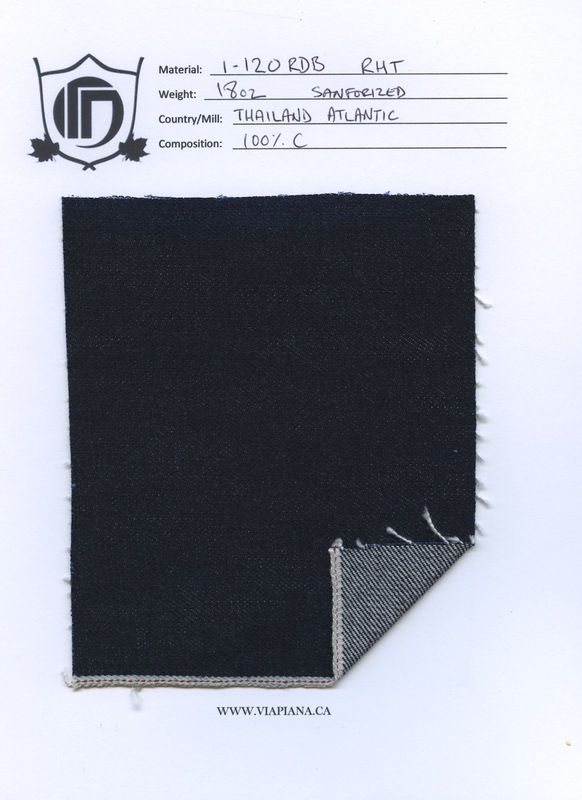 The historic blend is favoured among the workwear manufacturers for its durability and affordability. 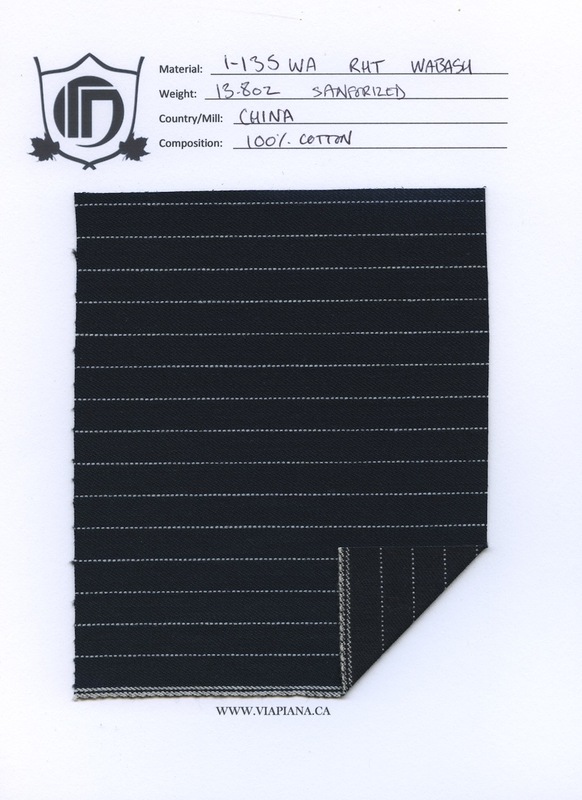 i-151W 15.5oz sanforized right hand twill. 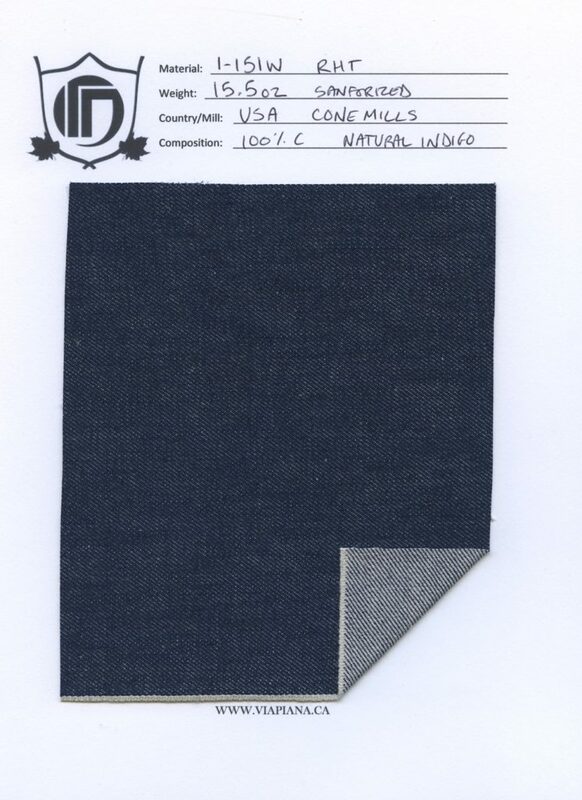 This denim is dyed with natural indigo in the famous cone mills denim mill. 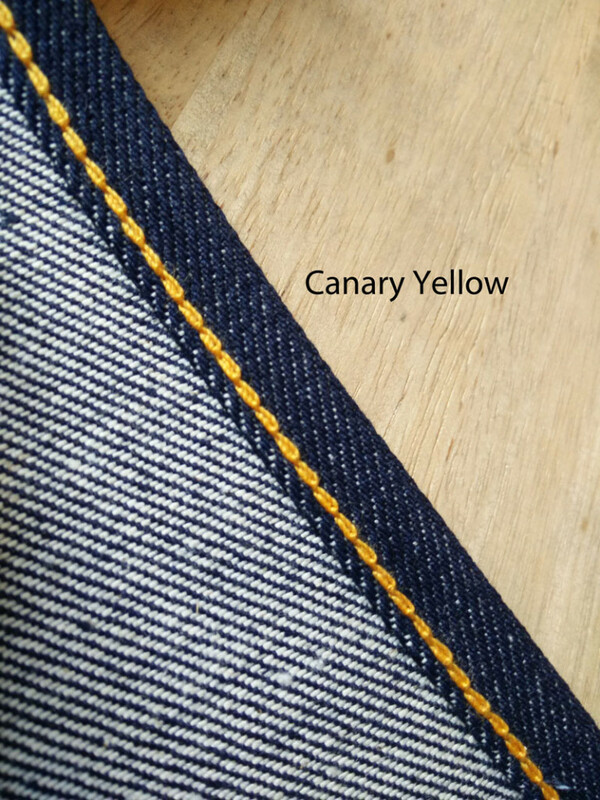 It is a tightly woven material that will fade and whisker beautifully as it ages. 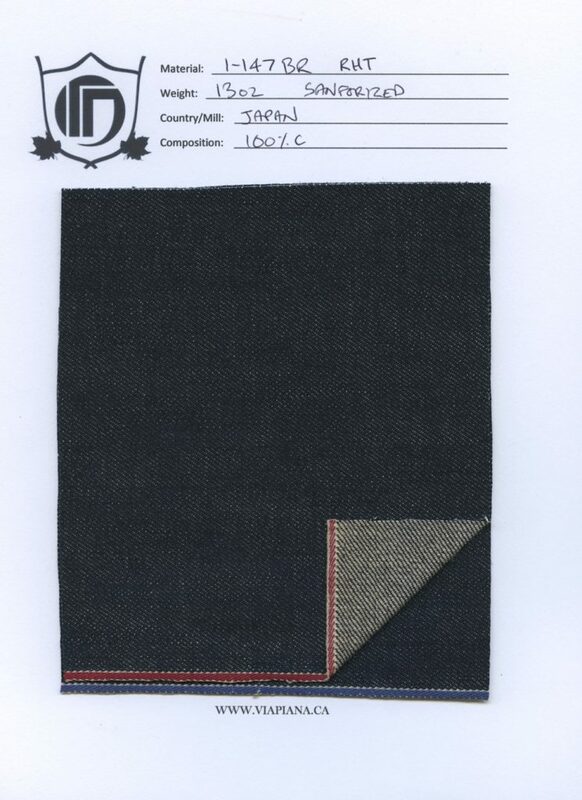 i-150W 14oz unsanforized right hand twill. 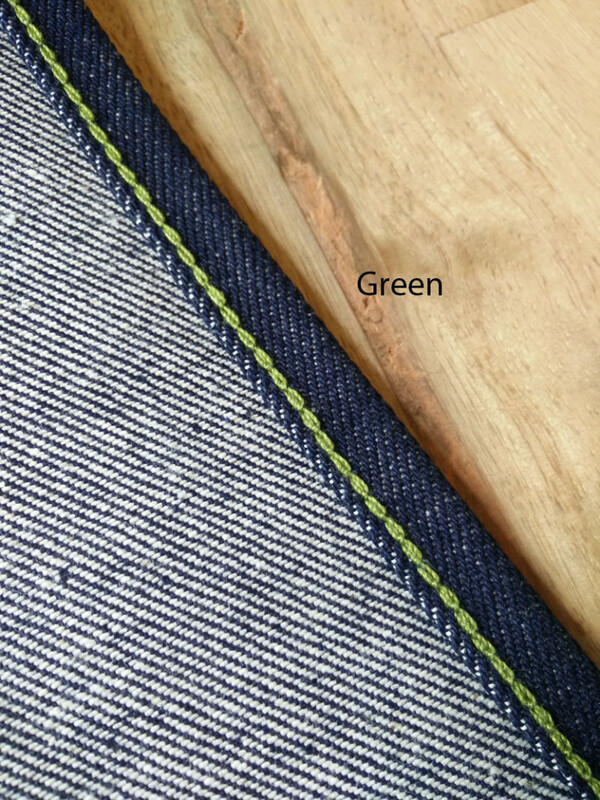 This denim although woven in Thailand, has great depth of colour and fades amazingly. I definitely approve of its quality. i-147RB 13oz sanforized right hand twill. 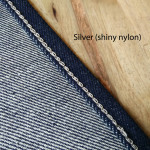 This is an easy to wear denim. its a little lighter in colour than the i-146RB. i-145WR 13oz unsanforized. 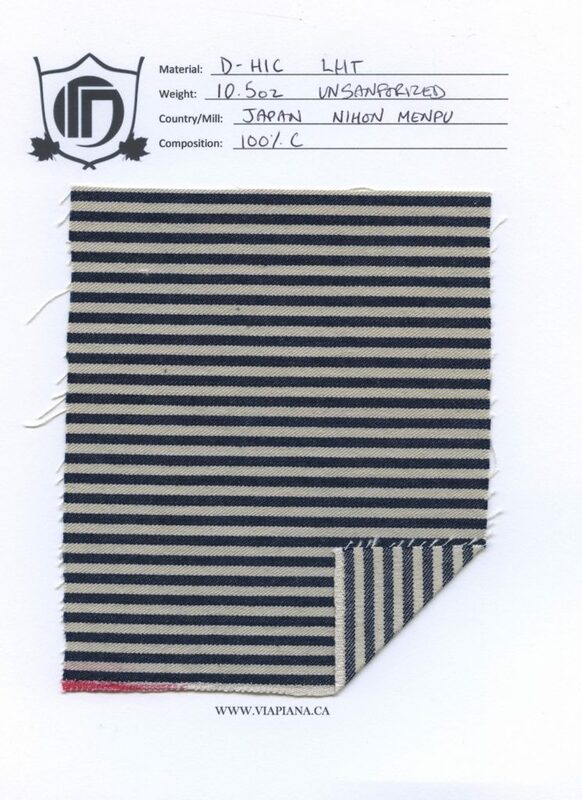 this denim is from Nihon Menpu and has an amazing deep shade of indigo. It is a tiny bit rough on the inside but will soften up well. 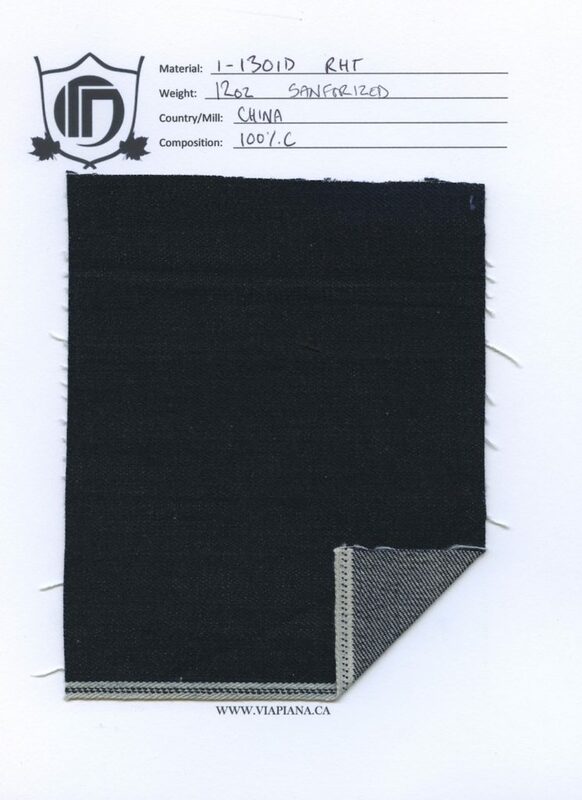 i-138RD 13.5oz sanforized right hand twill. 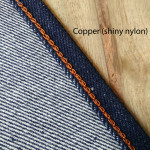 This material is uniform and fairly loose in its weave. Perfect for a pair of jeans that will break in easy. The colour is amazingly rich when faded. i-137BR 15oz right hand twill – sanforized. 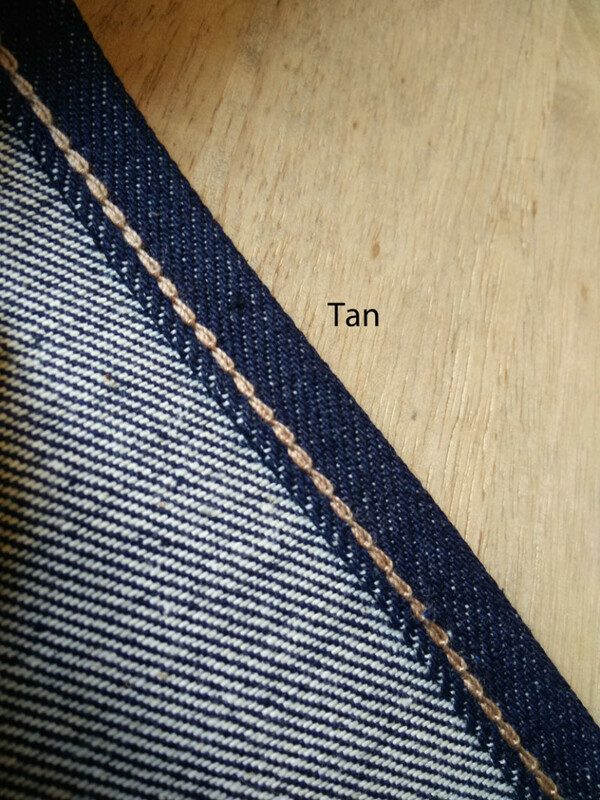 This material is an easy wear (loose weave) with a lighter more “blue” look to it than usual. i-136RD 13oz Broken Twill – sanforized This denim has a very soft hand. It feels great on the skin because of its brushed underside. i-135WA 13.8oz right hand twill – sanforized. 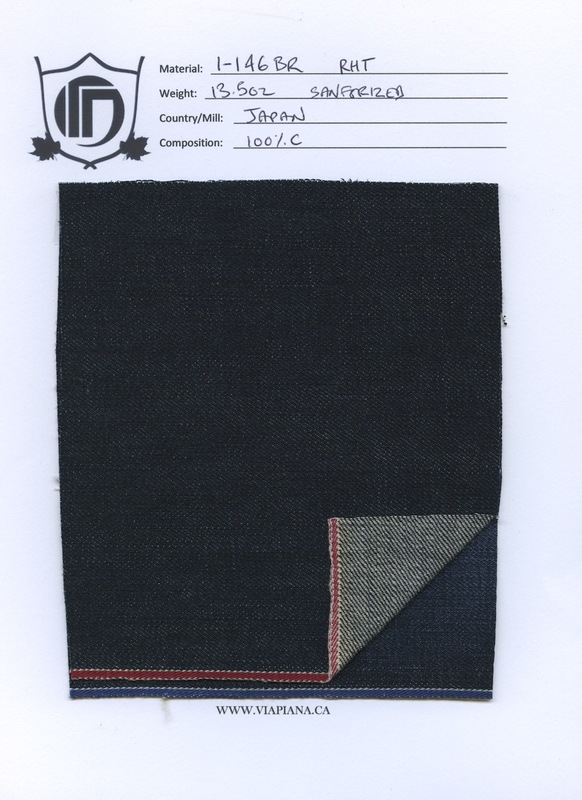 This woven “Wabash” denim is a hit with the workwear crowd. 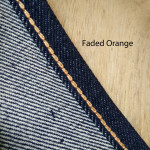 Very tightly woven and result in crispy fades. 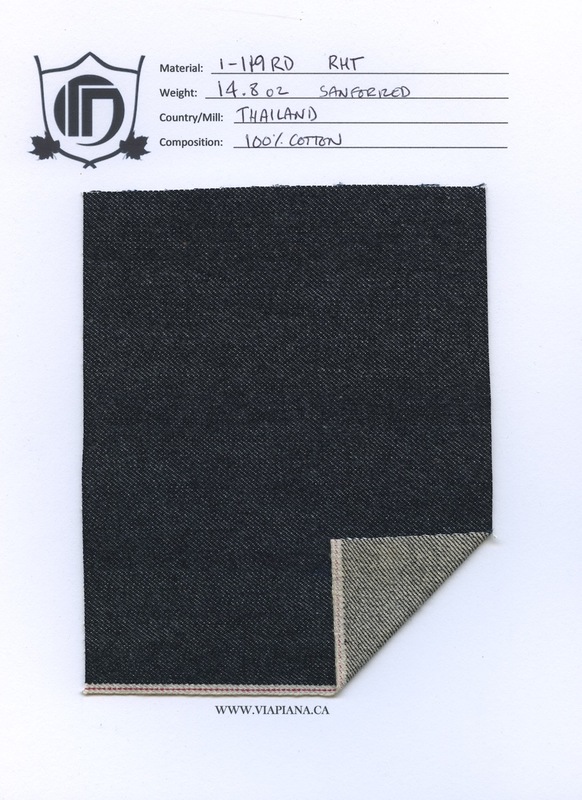 i-132RD 14.5oz right hand twill – sanforized. 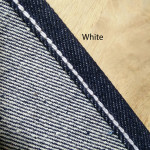 This denim has a “twisted weft” which basically means that the horizontal thread that is usually white is made up of two threads of different colours. 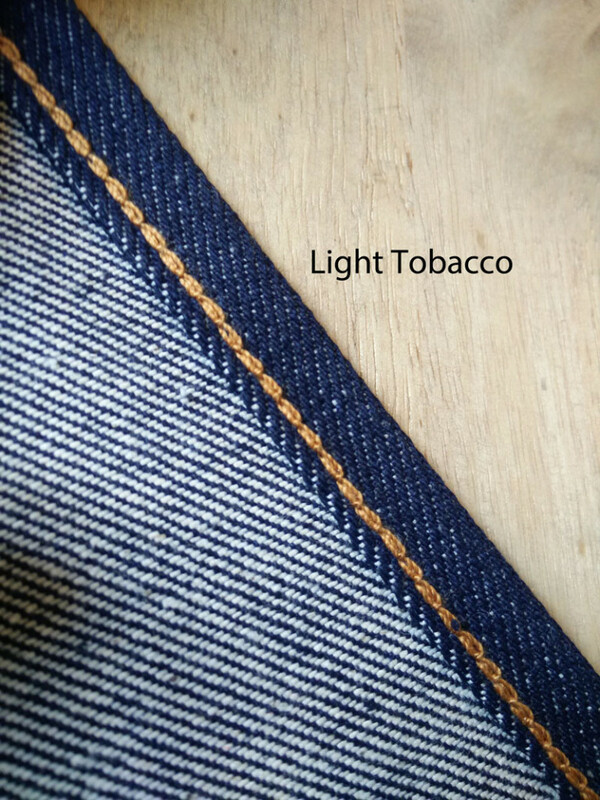 This is a very loose weave, and that will make these a very easy wear. i-131G 13oz right hand twill – sanforized. 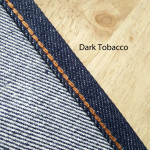 This very dark indigo also has a “dirty” weft. 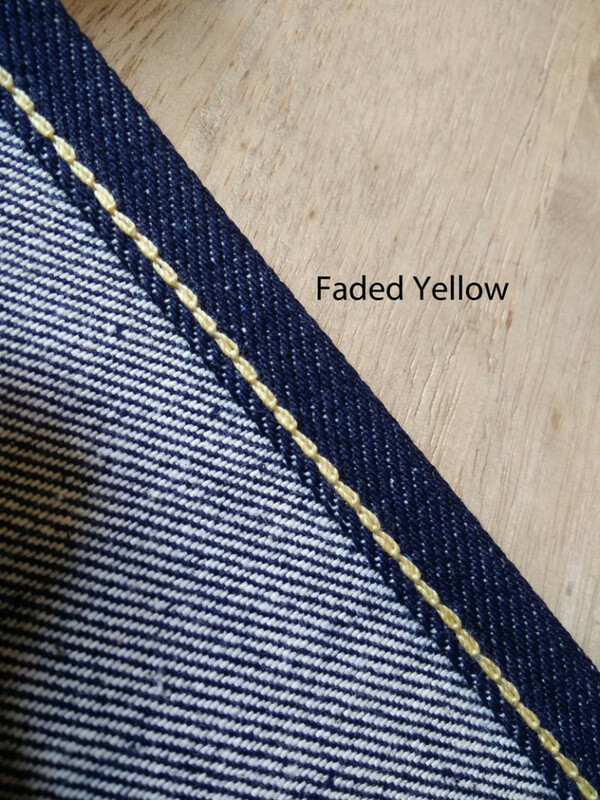 It will produce some very yellowish fades. 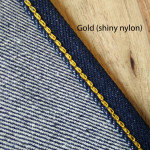 The shiny gold selvage is also a plus. i-130ID 12oz right hand twill – sanforized. A very solid colour on this denim will result in some contrasted fades. I-126RD 14.5oz Right hand twill. 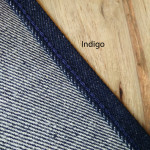 This denim has indigo warp and Black weft threads. 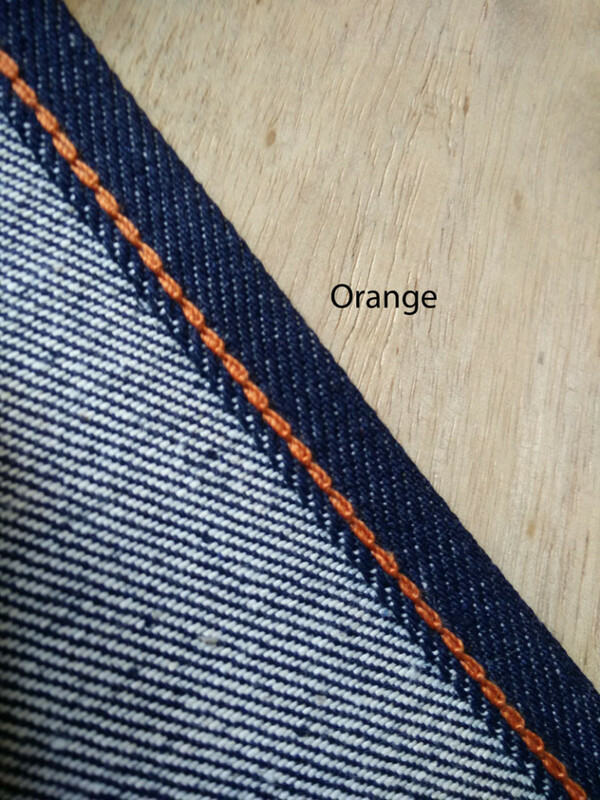 It is also super slubby on both the warp and weft. denim i-125G 21oz unsanforized right hand twill. This beast is starchy, sturdy, and slubby. 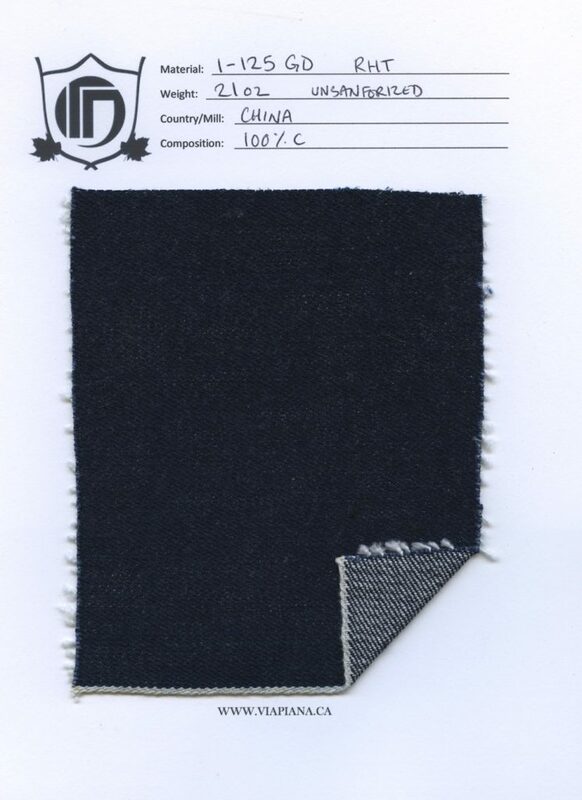 I bet this isn’t what comes to mind when you think of Chinese denim. 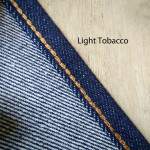 i-120RDb 18oz right hand twill – sanforized. 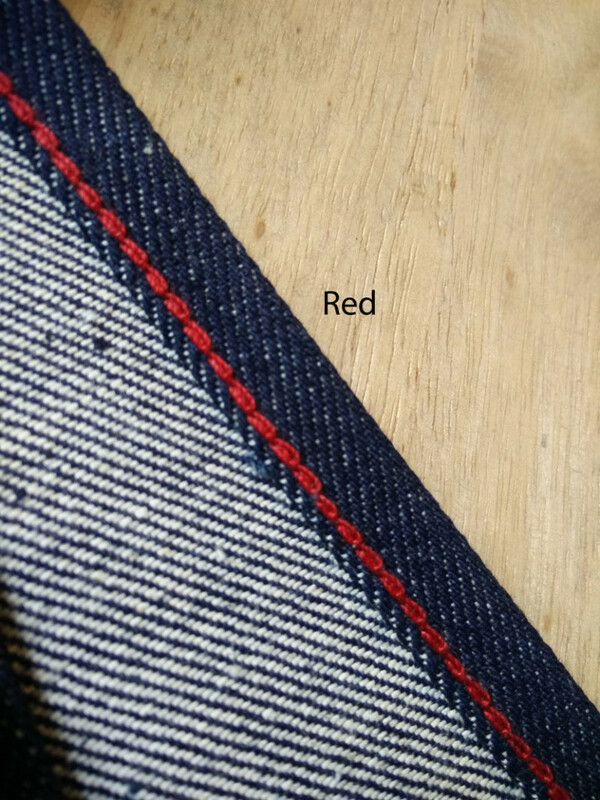 This denim is heavy and tightly woven. Only for the brave! I-119RD 14.8 oz right hand twill. 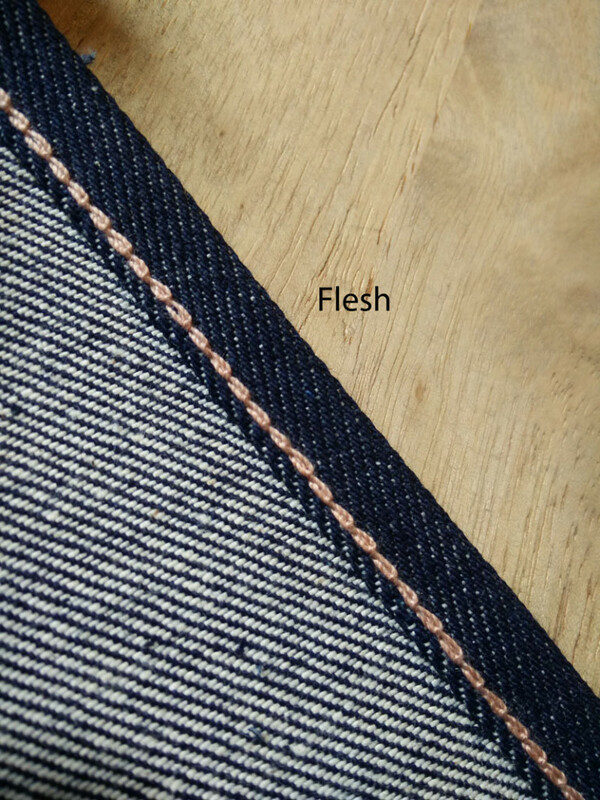 possibly the starchiest denim i have in the shop. guaranteed crispy fades. 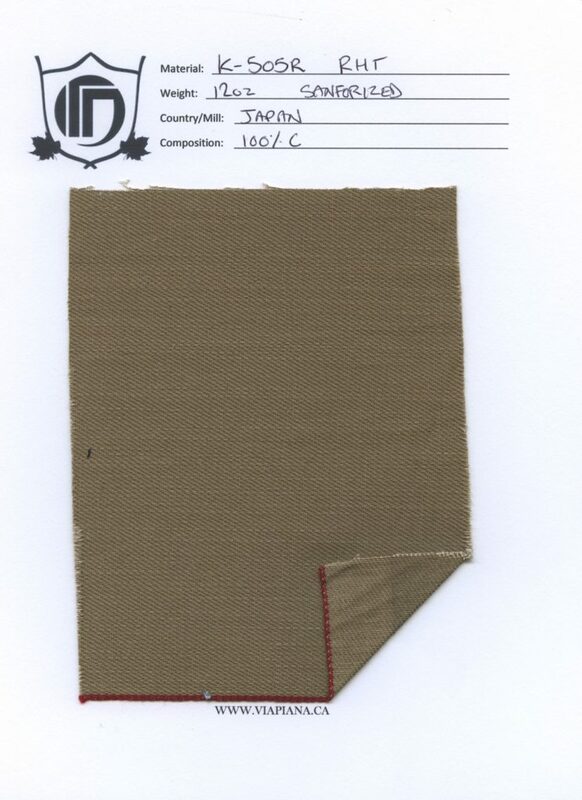 i-110G 12oz sanforized right hand twill. 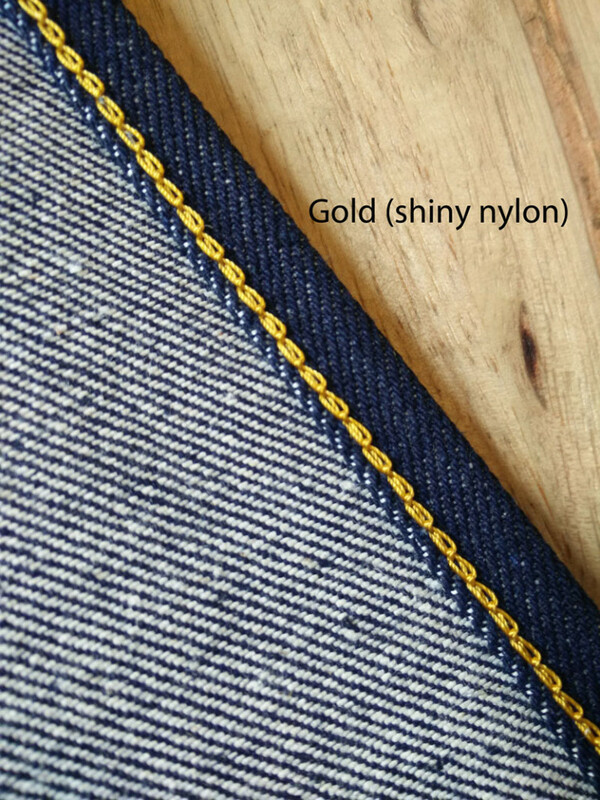 This is a lightweight denim that has a bit of gold flair in its selvage id. 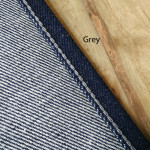 G-604GD 9oz sanforized chambray. 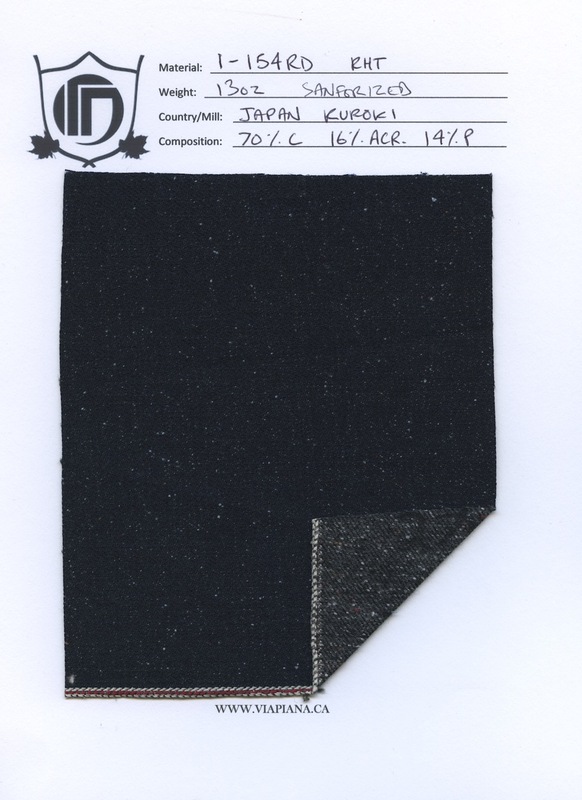 This material makes for a great pair of business casual pants or a beautiful jacket. 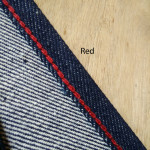 The sturdy chambray breaks in wonderfully to a soft full feeling. G-603R 10 oz right hand twill. 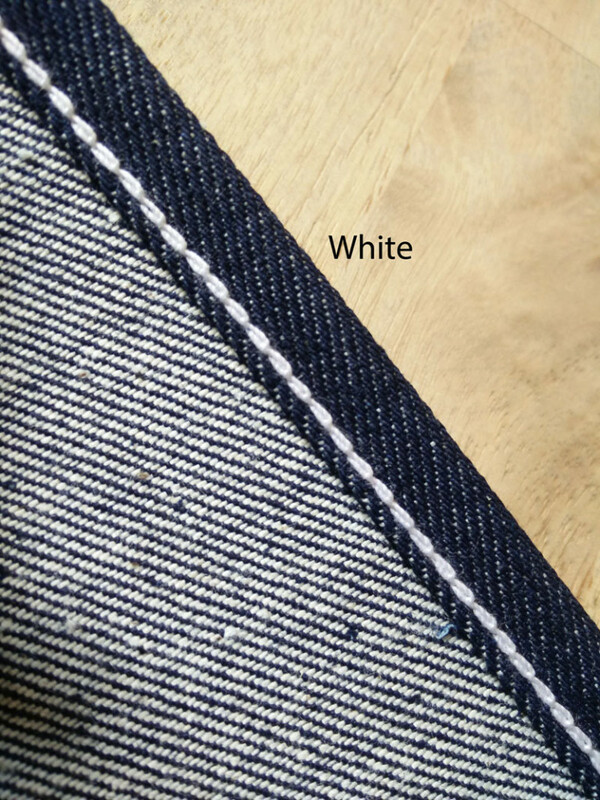 A very good option for a soft feeling, business style jean. G-602G 12.5 oz left hand twill. 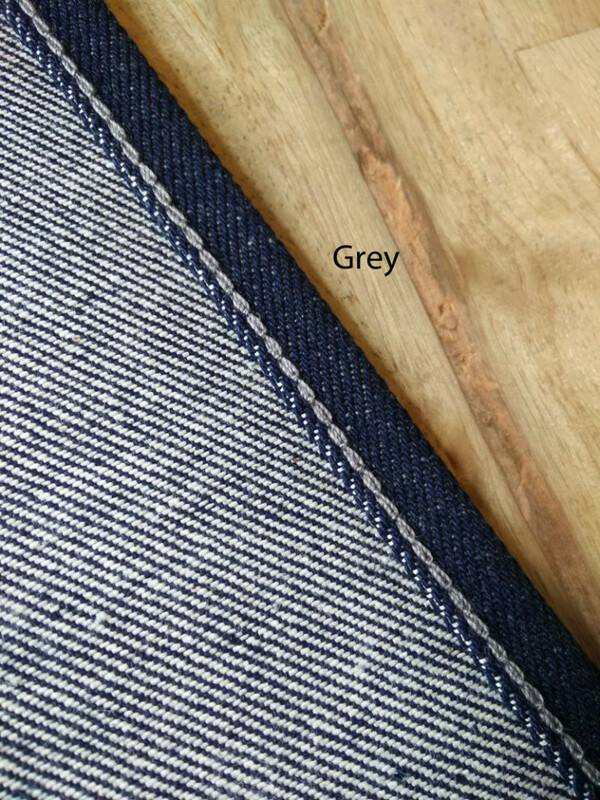 this grey wears into a very smooth pair due to the weave pattern. B-207GR 13oz sanforized right hand twill. 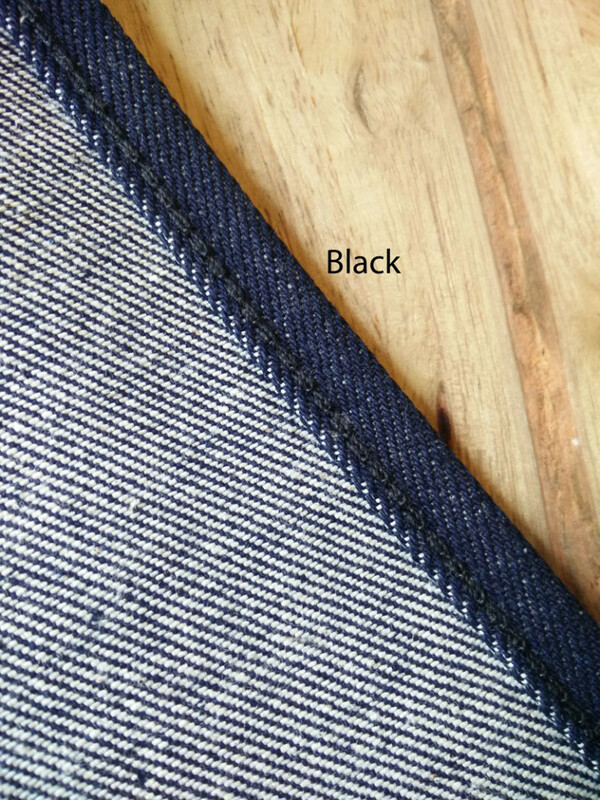 This is your classic Black jean material! wears nicely and has lots of character. 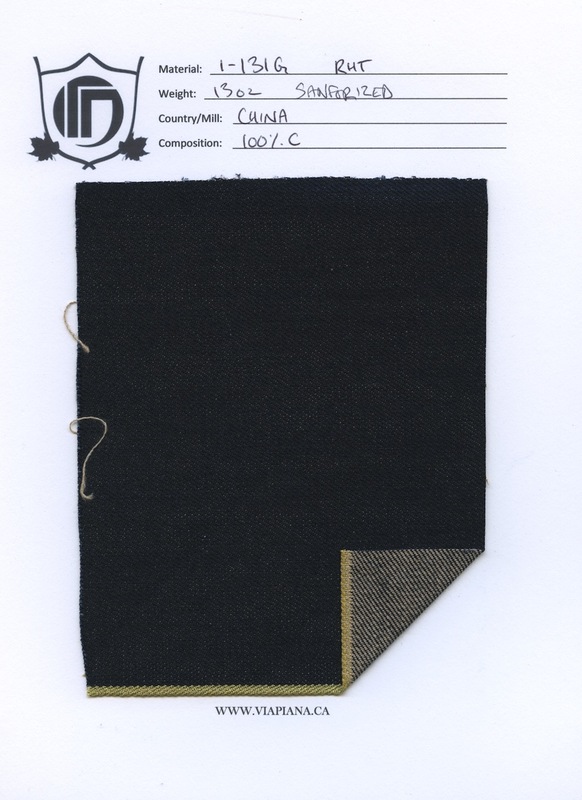 B-206G 12.5 oz left hand twill. This denim is black, but fades into a grey. has some linen woven into it. B-203P 10 oz right hand twill. very soft and easy to wear. has a bit of shine to it. D-HIC 10.5oz unsanforized left hand twill. This yarn dyed material will only be up for a few pair as i only have a limited quantity. Nihon Menpu does it again with their eye for detail. 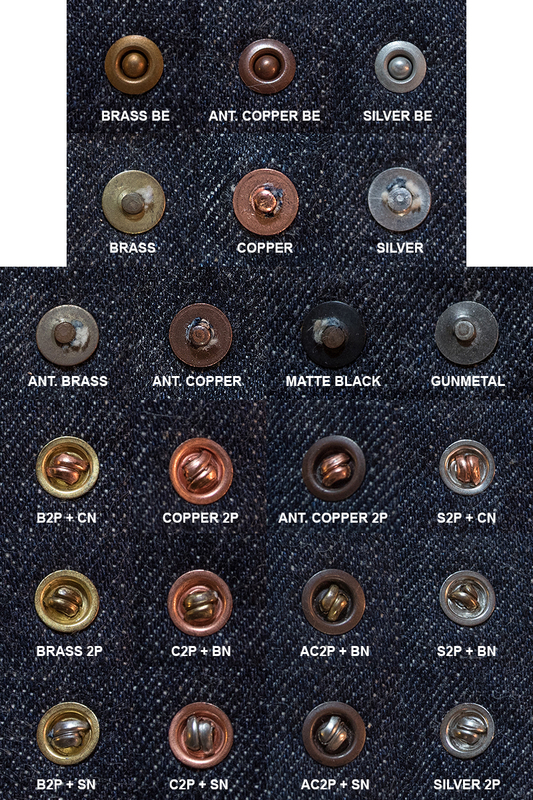 Rivets are a subtle way to bring out the colour in a pair of jeans. Mind you, they are not mandatory. You can have bar-tacks (straight or x’s) if you want. The buttons that I use are nickel and toxic free. 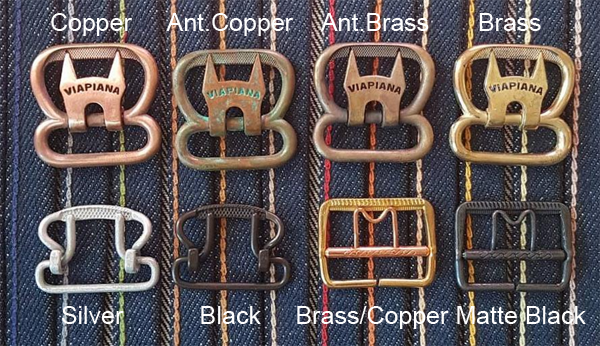 The branded back cinche buckles were custom made for me by an artisan in Bangkok. The other ones are from YKK. I use the finest leathers for all my patches. 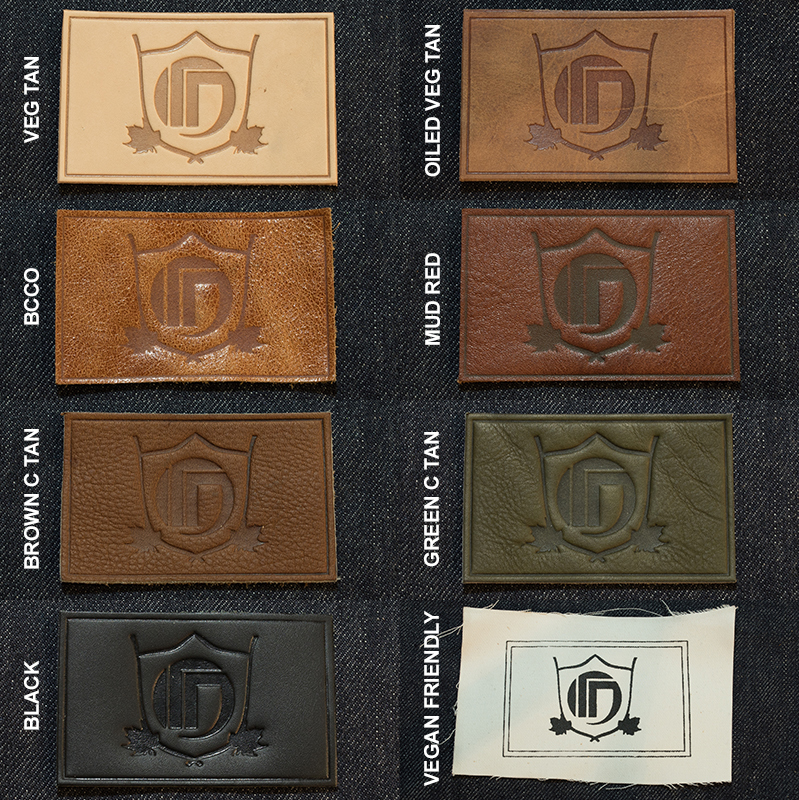 Treat your leather nicely and it will age beautifully. For all my vegan friends, pick the cloth patch.. I didn’t kill any cows. 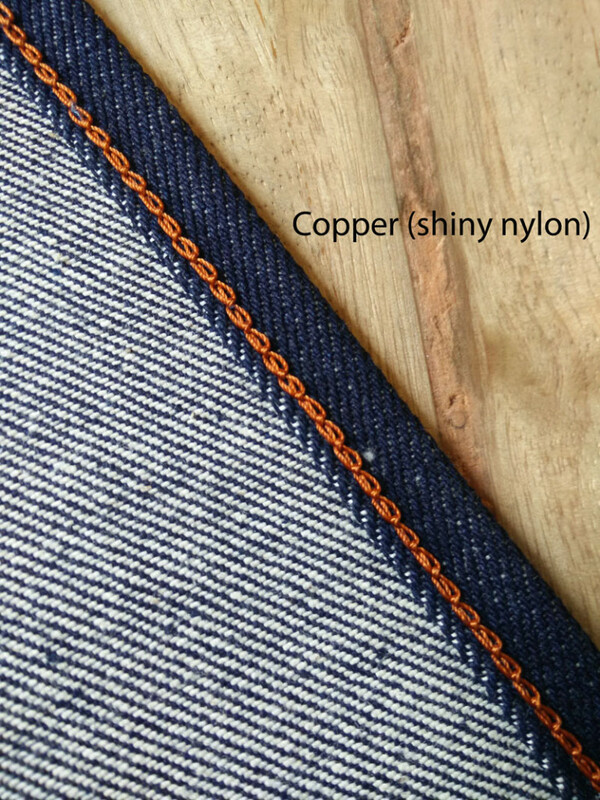 I use a core-spun thread which has the fading properties of cotton with the strength of nylon.